The Knute Hitch offers a simple and quick method to tie a lanyard onto pretty much anything with a lanyard hole. 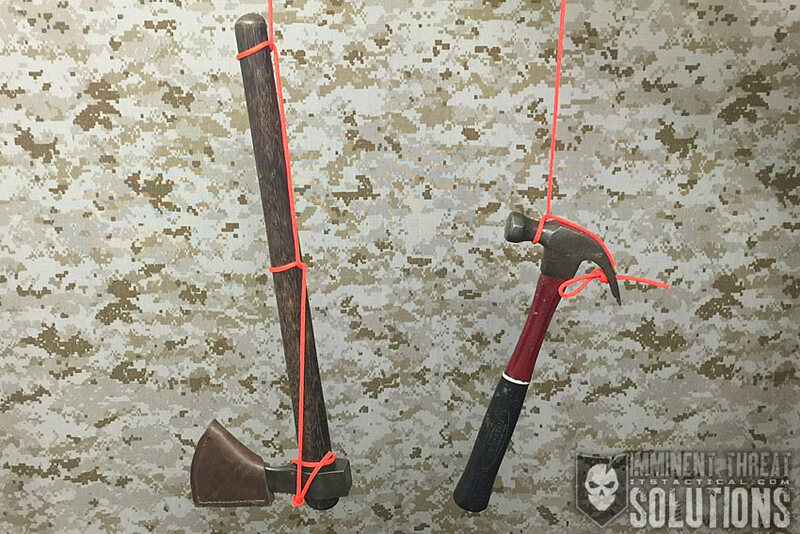 Today Bryan demonstrates how to tie the Knute Hitch, using paracord and a small hand axe. In addition, he also shows how the Knute Hitch will be incorporated into our DIY Knot Board Display. (Strength: 4/Security: 4/Stability: 5/Difficulty: 2) See below for what these ratings mean. The Knute Hitch can also be utilized for tying onto things with grommets as well, like banners and flags. It’s suggested that the lanyard hole be twice the diameter of the cord used. 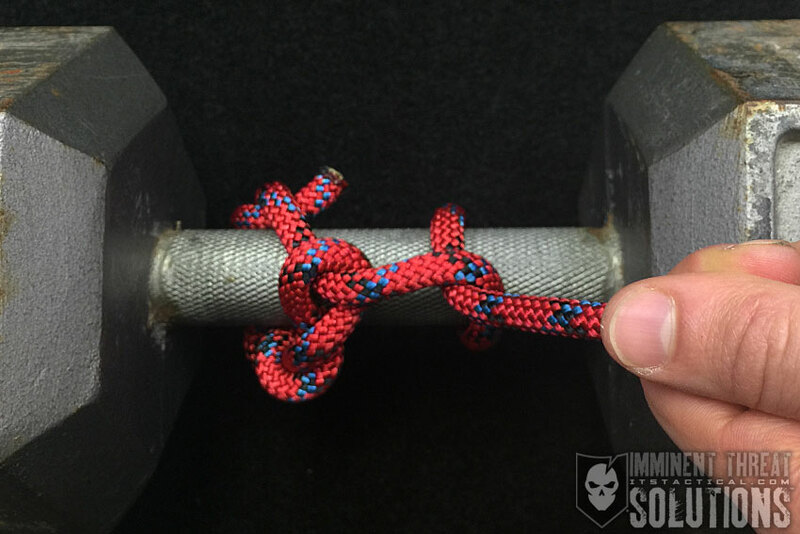 While you can use a standard overhand knot to tie the stopper knot needed to make the Knute Hitch work, we prefer the Figure-8.